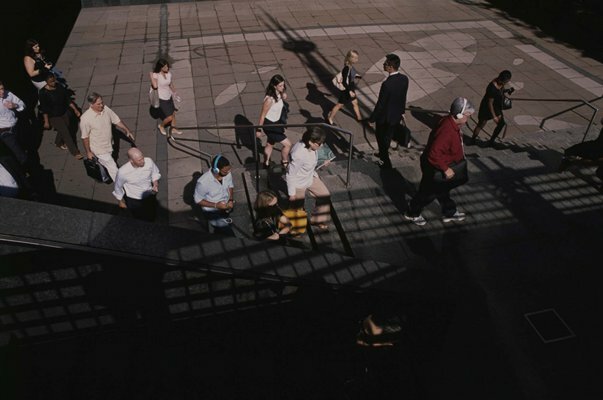 Foam presents the project Ghosts Don’t Walk in Straight Lines by Saskia de Brauw and Vincent van de Wijngaard. 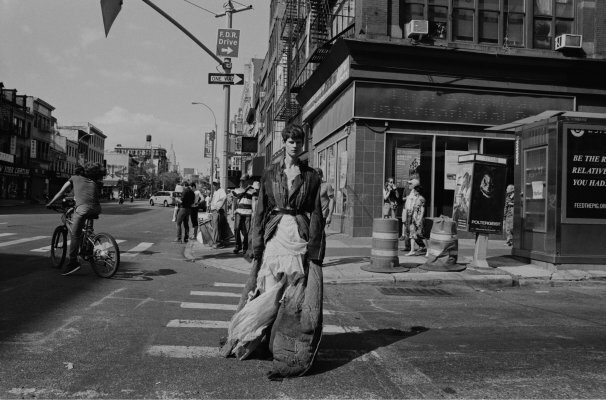 For this project Saskia de Brauw, mostly known for her international career as a top model, crossed the streets of New York by foot, walking from North to South in one full day. 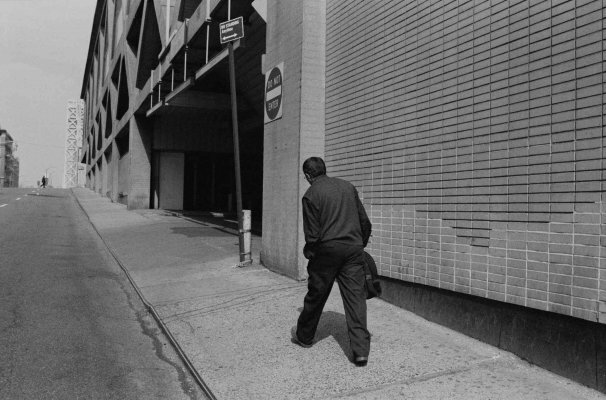 This slow walk along Manhattan– juxtaposing a city that is in many ways very fast moving – was documented along with stories and encounters from 225th Street and Broadway all the way down to Battery Park. 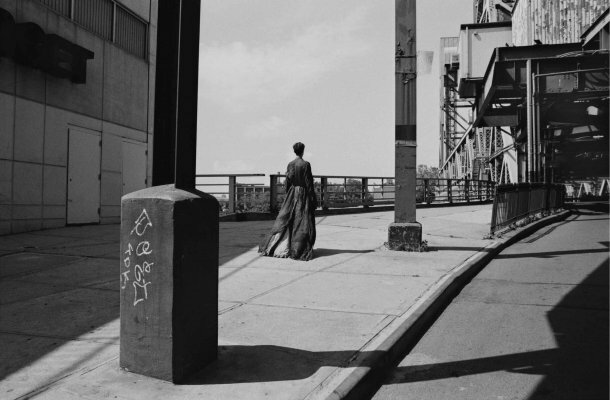 The walk took Saskia on a journey through Manhattan, crossing many different neighborhoods, sparking observations, thoughts and memories. This multifaceted project consists of an exhibition, a short film edited by Will Town featuring music by Jim Beard and costume design by Haider Ackermann, as well as an accompanying book designed by Matt Watkins. 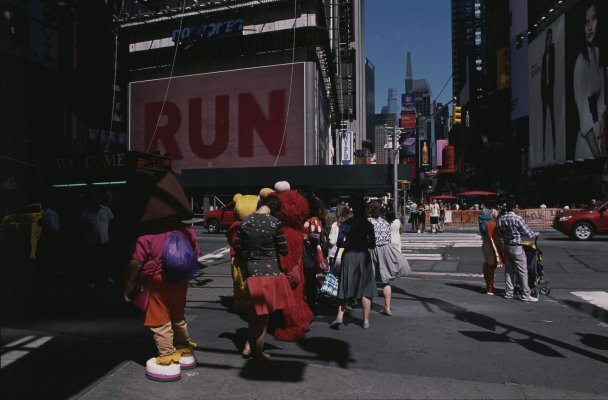 The book and the film capture New York in a very specific moment in time, where traces of the past are still visible but on the brink of disappearing. The title of the project refers to Doyers Street, which is a part of the route that Saskia walked. It is a peculiar street, situated in Chinatown and has a sharp bend in the middle. It is said that the street was designed after the zigzagging pathways the Chinese built to ward off evil spirits, who were said to travel only in straight lines and were unable to follow twisted paths. Here its meaning relates to the Manhattan grid. The grid deter¬mines our way of moving through the city. When people would choose a natural route they would never walk in straight lines, but the landscape of the city forces us to. For the walk fashion designer Haider Ackermann created a unique garment with leftover pieces of textile. With these leftovers a large patchwork was created resembling the structure of New York City, reflecting the idea of the passing of time. Known to the general public for her brilliant modeling career, artist Saskia de Brauw creates process-based performative works that explore how people inhabit domestic and urban spaces. In 2016 she published her first book The Accidental Fold, containing a collection of discarded objects found in the streets. As a photographer and filmmaker Vincent has traveled the world, photographing the street and fostering an appreciation and familiarity with diverse cultures. In 2017 Louis Vuitton released his book Morocco’ as part of the ‘Fashion Eye’ series. Ghosts don’t Walk in Straight Lines, by Saskia de Brauw & Vincent van de Wijngaard can be seen from 1 to 10 February 2019 at Foam. Open daily 10am - 6pm, Thurs/Fri 10am - 9pm.